He may not be the worst basketball coach in America but Tom Schuberth’s recent record says otherwise. Schuberth’s team went 0-60 last year. His 2018 didn’t get any better losing all twenty of his games before the schedule, mercifully, ended. Coaches get paid to win basketball games. Guys like Kryzewski, Williams, Popovich and Kerr make the big bucks to win. Coach Schuberth makes a working man’s wage to lose. And he’s pretty good at it, too! Despite his eighty-game losing streak it wasn’t always that way. For thirty-four years Schu got paid to win. With career stops at North Alabama, Louisiana-Monroe, Memphis, Southeast Missouri State, UAB, Central Florida, Texas-Pan Am, Paris JC, Jacksonville State and most recently Southern Miss, he was part of the winning handshake over 300 times. In fact, his teams won fifteen D-1 league championships and made eleven NCAA appearances, including a Sweet Sixteen in ’95 when he assisted Larry Finch at Memphis. But things went awry for Coach while he was on Doc Sadler’s staff at Southern Mississippi. In August of 2016, Schu was told ‘this ain’t working out’ and he headed for the gym exit. There are worse things in a coach’s life than not working for Doc Sadler and having to leave Hattiesburg, Mississippi; but looking for a job in late August, with midnight madness two months away, is not a recommended career path. At fifty-nine years old this lifelong bachelor thought his coaching career was coming to a close just as a personal relationship was about to tip-off. Schuberth’s life, up to that August moment, had been consumed by basketball. He was a standout at Carl Sandburg High School in Orland Park, Illinois and wanted in the worst way to play collegiately for the Fighting Illini or UCLA but neither showed any interest in the undersized 5’9″, 160 lb. point guard. Schools like Ole Miss, SMU, Western Kentucky and Rice, did. However, while playing the summer before his senior year in an AAU tournament, Jerry Tarkanian, the pit boss of UNLV hoops, was in the gym scouting another kid and fell in love with Tom Schuberth. When Schu made his first recruiting visit to Vegas, he forgot all about his Illinois and UCLA dreams. He was hooked. UNLV was on the verge of greatness and for a wide-eyed, eighteen year old kid, Las Vegas was…well, Las Vegas. The 1976-77 UNLV team finished the season at 29-3 and reached the Final Four in Atlanta before losing by a point in the semifinals to North Carolina. Schu didn’t play much of a role as a freshman on that squad. He got into eight games and scored two points, which was two more than the blackjack dealer at The Dunes who sat in section 15, row M, seat 3. Immediately following that season UNLV was put on probabation by the NCAA. Schuberth panicked and left. Understand, when UNLV is put on probation, it’s not for slipping a kid a hundred dollar bill or buying him a cheap steak at LongHorn; when UNLV goes on probation, they don’t screw around with the little stuff. We’re talking hot tubs and hookers and limos and casino chips and all-night parties. It’s real, big-time probation. After all, it’s UNLV. So he ran from the bright lights of the Strip for a single stoplight town, the very aptly named Starkville, Mississippi and transferred to Mississippi State, which needed a point guard, and Schu was their guy. His on-court career at MSU didn’t dazzle but it was steady. He was third in the SEC in assists his junior year. Off the court he was a star who earned both an undergraduate and masters degree in Health and Physical Education. He got offers to play ball in Europe but it was too far from his Chicago home. Schubert could spin and juggle a basketball exactly the way the Harlem Globetrotters wanted a guy to do. He was a short white guy and exactly who the Harlem Globetrotters wanted to see on the roster of their beat-a-horse-to-death opponent, the Washington Generals. Schu lasted one year on the Generals eight-man roster losing every night in 1982 to Sweet Lou Dunbar and the other Globetrotters. He left hoping to win basketball games for a career. A coaching spot opened at North Alabama in 1983 and furnished him a job and a living. 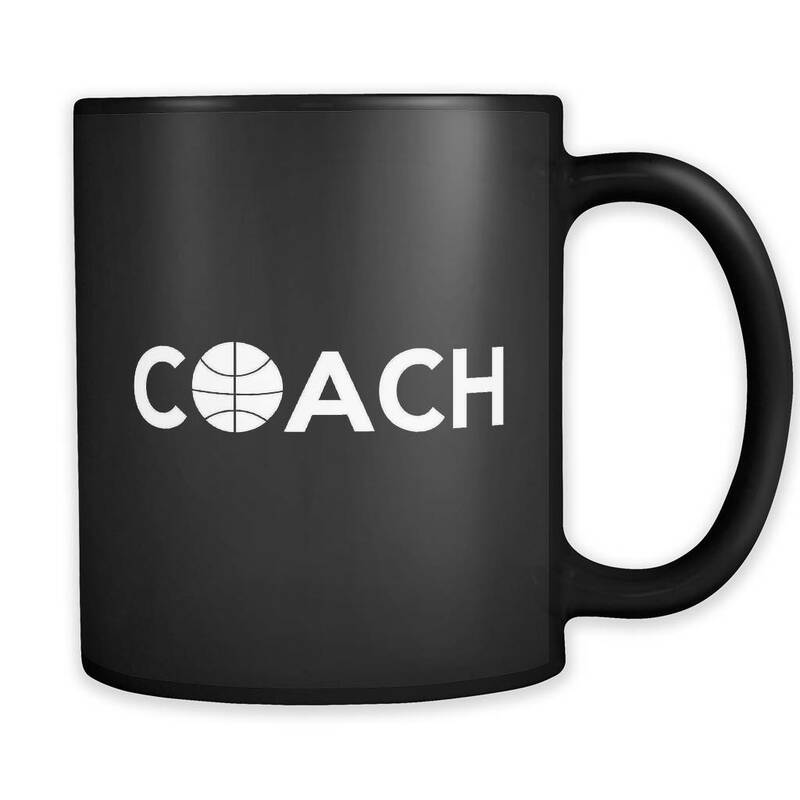 He worked coaching basketball for the next thirty-three years. 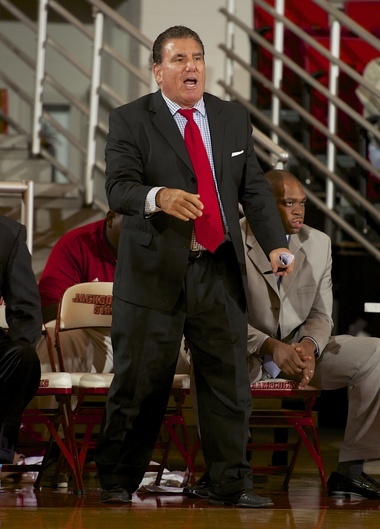 He was a career assistant except for three years when he became the head basketball coach at D-1 Texas-Pan Am in 2006. When he took the job, USA Today rated the Broncs the worst program in college basketball. There was only one direction to go. He left the Rio Grande Valley three years later with a record of 42-45, including 18-13 in 2007-08, which is the second best winning percentage in UTPA history behind Abe Lemons, a name that any old-school, pre-glass backboard hoop junkie will instantly recall. I met Tom five years before UTPA during his one year at UAB in 2001. Head coach Murry Bartow hired him to replace UAB alum Andy Kennedy, who went to Cincinnati to work for Bob Huggins. Schu immediately violated a major covenant in the assistant coaching manual: he bought a house right after moving to Birmingham. A change in athletic department administration relieved Bartow and his whole staff after that season. Schu had no job but he did have a new mortgage. Fortunately, Central Florida came calling and eventually so did a home buyer. We’ve stayed in touch for the past seventeen years. When Southern Miss made the change and let Schu go in 2016 he moved from Hattiesburg to Bryan, Texas to be with the lovely Nikki Pederson to whom he was introduced a few months earlier by a mutual friend. He figured he was done with basketball, and with Nikki now in his life, that was okay with him. Then the phone rang in October, 2016. A colleague called to tell him there was an opportunity he may be interested in, however unconventional, with the Harlem Globetrotters. The Globetrotters tour was looking for a game official, no previous experience needed. Begrudgingly, with a shoulder that pained him daily and a woman he was falling for, he took the road gig. A referee for the Globetrotters and the striped shirt in the squared circle of the WWE have a lot in common. The goal is entertainment, not necessarily equity. Leave the kids laughing, the parents believing they got value for the buck and hope they come back again. For the Globetrotters it has been a formula of success for ninety-two years. Things like this tend to happen often to the Washington Generals when they play the Globetrotters. 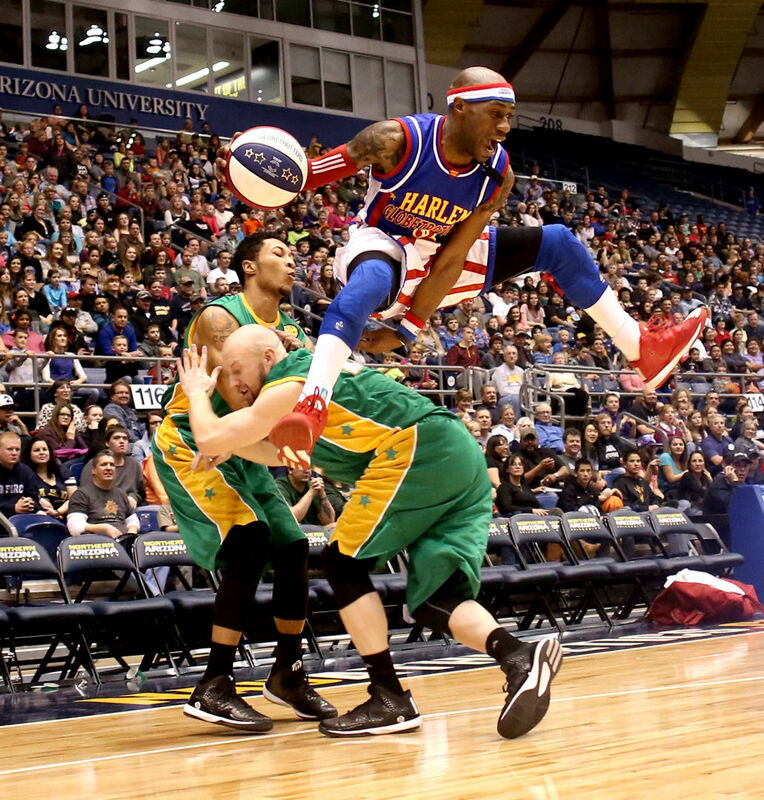 The Globetrotters use two referees— one that is mic’d, and one that isn’t. Schuberth didn’t have the pin mic attached to his black and white shirt. If you know Tom Schuberth, then you know he is a one-man cell phone battery buster. He’s still talking five, six minutes after you hang up the phone. He loves to preference every story with “to make a long story short” but he’s never once succeeded. Tom Schuberth without a mic is like Billy Joel without a piano. It just doesn’t work. The shoulder hurt more and more, his heart ached for Nikki who was thousands of miles away, and then Schu found out the referees were responsible for washing uniforms for both teams after each game. He was a confirmed bachelor all his life, doing his own wash; he didn’t need to do it for twenty others, too. He hung up his whistle after a couple of months. His cell phone, with the battery recharged, rang a few weeks later with an opportunity that an old basketball coach couldn’t turn down: an offer to return to coaching, but with no recruiting and no game strategy. Show up. Look good. Make sure the Globetrotters win. Tom Schuberth is dapper both on and off the basketball floor. Looking good was never a problem for Schuberth. He was always the best-dressed guy in a room. Always. At coaching conventions, when others wore sweatsuits and shorts, Schu was in a suit with a pocket square. Not many guys in the gym knew what a pocket square was, but Schu had one for every suit. Few would mistake him for a college basketball coach. Most would think he was a capo in the Soprano army. But looking good doesn’t make for good basketball when you are coaching against the Globetrotters, who last lost a game in 1971 when a clock malfunction spoiled a planned last second Meadowlark Lemon basket for the win. The clock operator was looking for work the next morning. Prior to that, the Globetrotters hadn’t lost a game since Adam posted-up Eve. Since then, the Washington Generals have been on a forty-seven year losing streak, almost as long as the Knicks. Despite his record, Coach wasn’t concerned about his job status. “Listen, the way I look at it is I wasn’t any worse than all the coaches they had before me,” he rationalized. And he was right as a new contract awaited for the abbreviated 2018 winter schedule where he proceeded to lead the Generals to twenty straight losses, just the way they were supposed to. For a guy who has completed over thirty marathons (including Boston) and has successfully outrun the bulls in Pamplona (which he admits was outright frightening but still easier than trying to beat the Globetrotters) and played in a Final Four and coached in the Sweet Sixteen, nothing was more nerve racking for Coach than last Wednesday night when his long losing streak finally came to an end. Nikki shows the new hardware to her friends. Coach Schu’s full court press worked! He put a full court press on Nikki Pederson and on Valentine’s Day asked her to be something no one has ever been before: Mrs. Tom Schuberth. It was, by far, the biggest win of Tom Schuberth’s illustrious coaching career and life.